David Lowery, the spiritually minded director of Pete's Dragon and A Ghost Story, explores the inevitable reckoning with ourselves we all face at the end of our days with The Old Man & The Gun. It's the true story of outlaw Forrest Tucker, and the film's star, cinematic titan Robert Redford, says it will be his last. Tucker was first sent to prison at age 15. He lived to be 83, and spent the vast majority of his life either robbing banks, in jail or breaking out of jail. 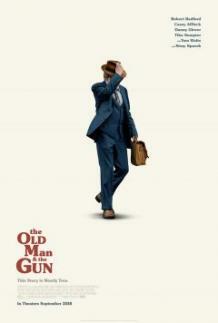 The Old Man & The Gun, set during the last years of Tucker's life, digs into why. Redford's final role casts him as one last charismatic outlaw, a charming, likable man whose lifelong passion happened to be crime. He's joined by a murderer's row of acting talent, including Sissy Spacek, Danny Glover, and Casey Affleck.